The scoffers would still claim global warming a hoax. By the way, doncha know universe created in a week and apples condemn you to hell. Must have gone through one of those dang interdimensional portals. They might as well start making igloos! 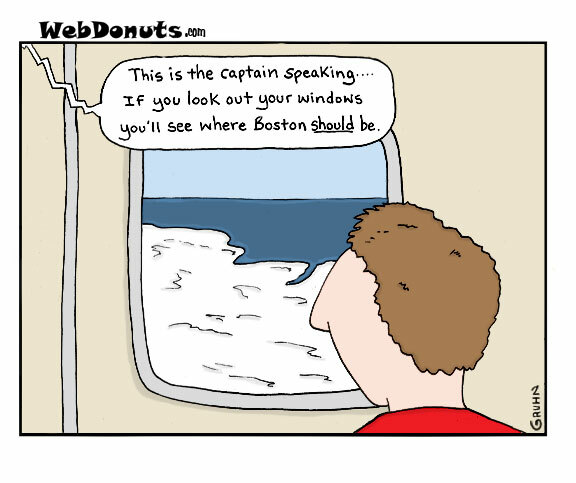 I thought Boston was in a Red State! Someone needs to retake his navigation course.